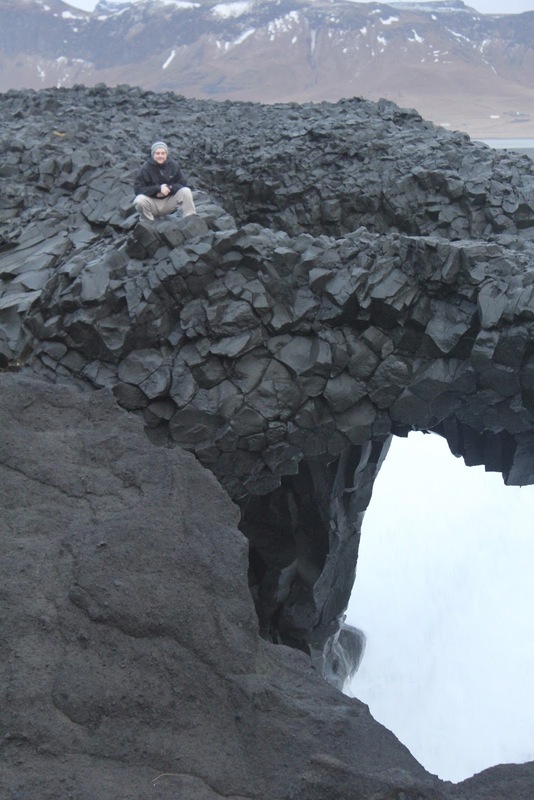 Here are a bit more photos from our time in Iceland. 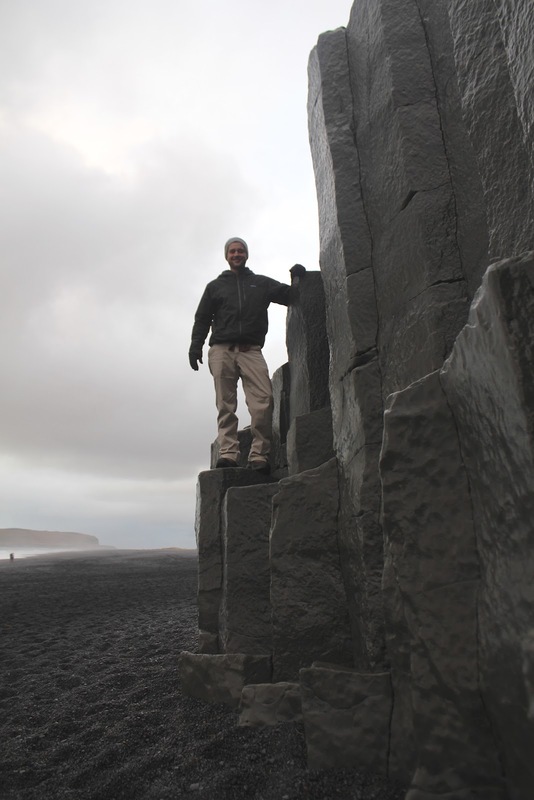 We spent a few days driving along the southern coast of Iceland, and one of the most scenic cities we visited was Vik. 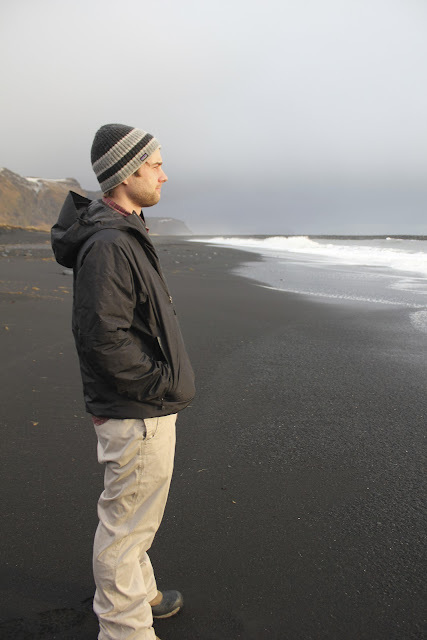 When we arrived in Vik we weren't sure where to go, so we drove around and ended up at one of the most gorgeous beaches we have ever witnessed. 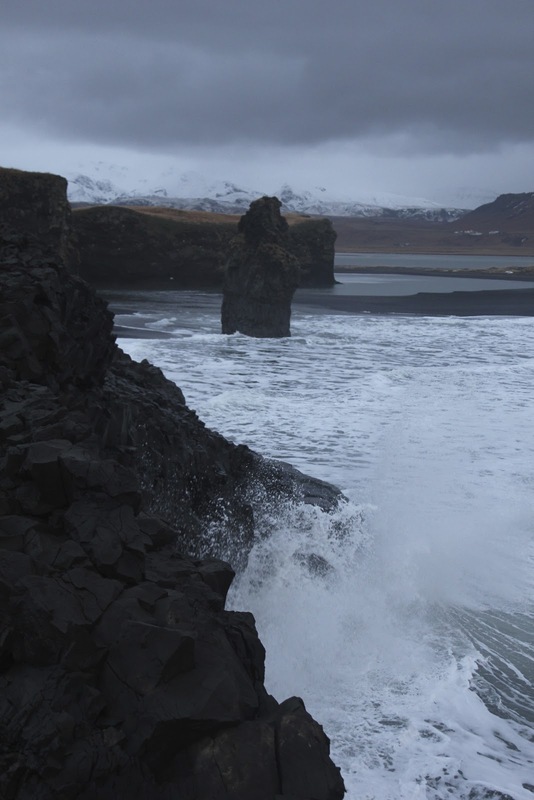 All of Iceland's coastlines are made of black sand, due to the Volcanic origins. While at the beach we were blessed with a few minutes of sunshine too, which made for some pretty incredible photos. 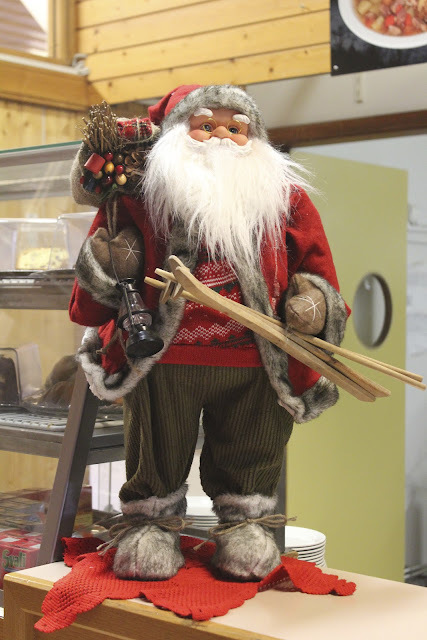 We stopped for a bite to eat at a coastal restaurant, and I was again shocked by the Christmas spirit that Icelanders had. This church in Vik is supposedly one of the most photographed objects in Iceland.
. . . and the view from the church was pretty astounding as well. 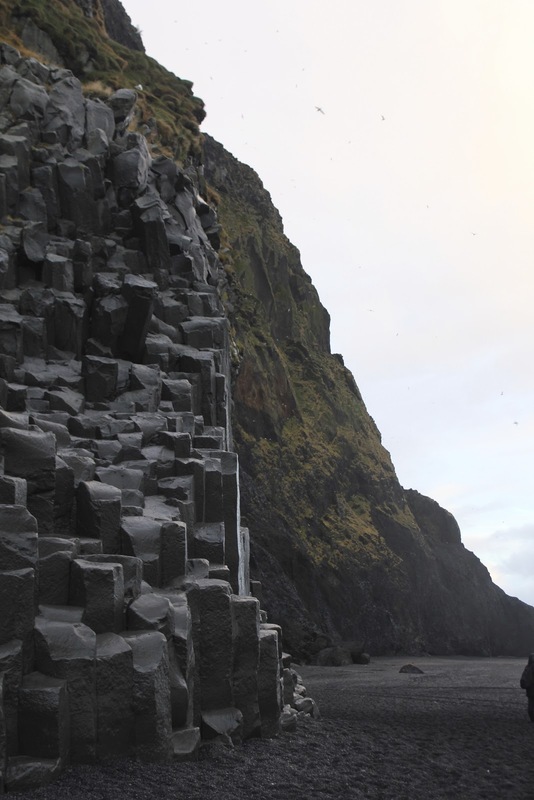 Another popular and gorgeous spot near Vik was the basalt columns on a nearby beach. Later that day, we drove out across a small land bridge to another island-like cliff region surrounded by the gorgeous black sand beaches. We were about 40 feet high, and on the south side of the cliffs waves seemed to be pounded the sides, spraying over the edge of the cliff. 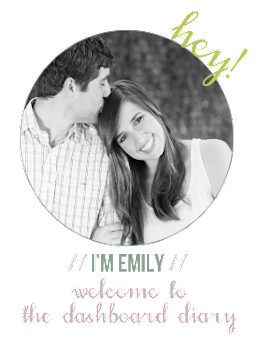 It was a bit terrifying, but it was also an incredible experience.
. . . and road trips. Though, I do no miss driving on the icy roads of Iceland in a little mini car that shouldn't be allowed out in the winter. I love all of these pictures. Where are your boots from?? these pictures are gorgeous!! and the black sand is really cool i have never been to a beach like that. Still think it's just so cool y'all went to Iceland - seems like you covered the country so well!